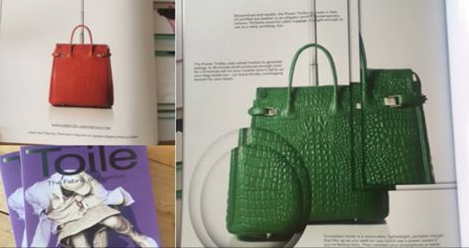 Frame Magazine, the world’s leading interior-design publication, has a new family member as of now! 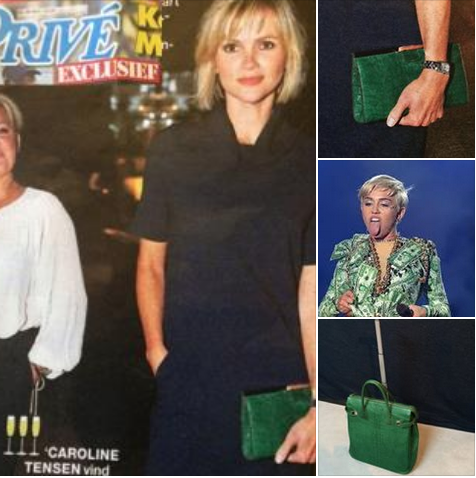 Toile Magazine dissects how innovation occurs within the fashion system and the function of technology in pushing it forward - talking about beauty, luxury brands, new talent on the block, all! 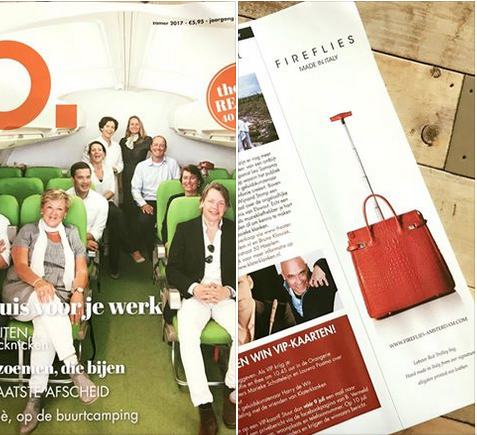 Fireflies Amsterdam is extremely proud to be part of this new magazine, that fits our DNA like a glove, with our Powertrolley. Check out this unprecedented magazine at your (inter)national bookshop! SARTORIA Fashion presents their new collection. 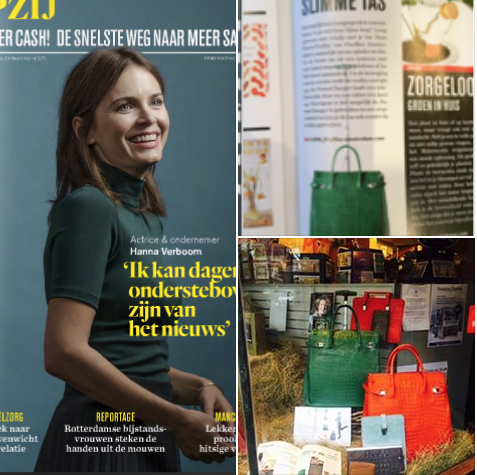 Among DENHAM The Jeanmaker, ETRO Official, Golden Goose Deluxe Brand, Marie-Stella-Maris, Patrizia Pepe, Tod's, J_Brand, Fireflies Amsterdam is a great lifestyle companion! Happy 2016 to everyone from the FIREFLIES team! 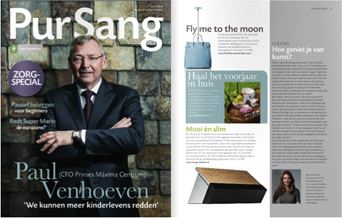 Glowing in the Dutch luxury magazine NOUVEAU, the year has a flying start! Our FIREFLIES PowerTrolley is getting its share of attention! 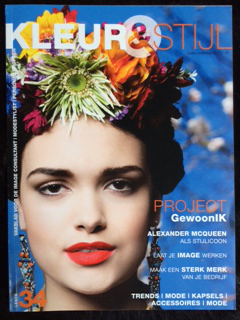 This month in Opzij Redactie's december edition, supported by Primera Overveen, next month in Nouveau! 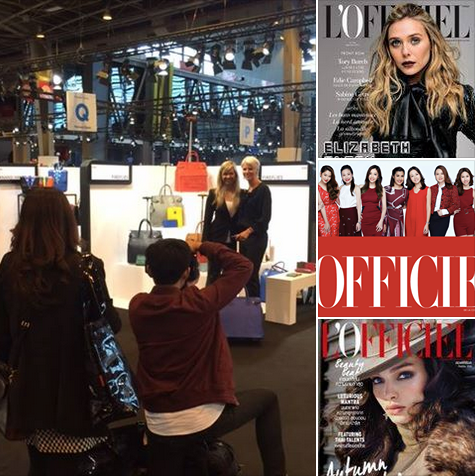 The French fashion magazine L'Officiel de la Mode is hunting for hot innovations at the Paris fashion fair Premiere Classe. FIREFLIES is the target, also for their Asian edition! 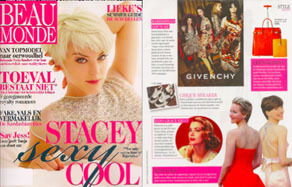 SIMPLY THE MAG: SPAIN HERE WE COME! PRESSRELEASE: FIREFLIES FAIR & FASHIONABLE ENERGY BY WHEEL MOTION! FIREFLIES Amsterdam today launches the PowerTrolley, which generates energy by wheel motion. The FIREFLIES PowerTrolley is clearly a family member of the existing stylish fair & functional FIREFLIES collection. 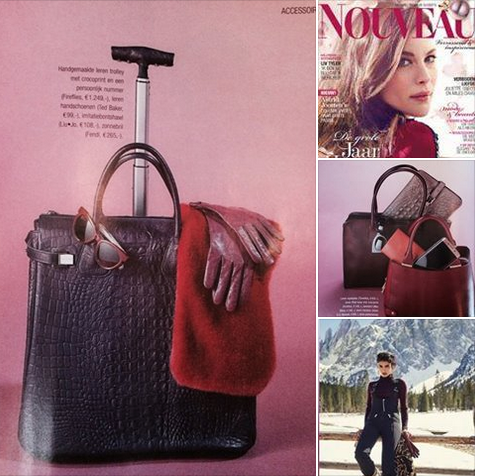 “We continue to work with our certified eco leather which characterizes our unique bags. The FIREFLIES PowerTrolley adds to the sustainability equation by inducing energy via wheel motion. So while you are traveling for business or for pleasure, you can charge your phone and use the light inside your bag”, explain Jessica Roozen and Carissa Sorko, co-founders and owners of FIREFLIES. The FIREFLIES PowerTrolley is a hand luggage bag with a built-in lightweight portable PowerCharger, which fills up while walking. A fully-charged PowerCharger puts up many hours of instant power at your finger tips and will let you charge your phone up to 3 times and/or your tablet once via a USB port. It lights up your bag endless times as it automatically switches off. The PowerCharger can additionally be charged by wall socket. 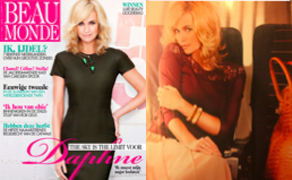 IMAGE CONSULTANT, STYLIST, PERSONAL SHOPPER FOCUS LIST! 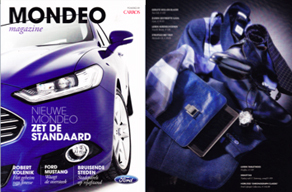 This month's Mondeo Magazine is having the blues, but in a positive way! Check out the editor's pick for the metro man of today; it's all about blue baby! The perfect company for our Royal Blue iPad cover! 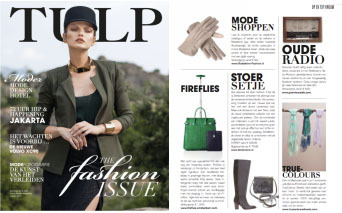 The glossy lifestyle magazine for the bon-vivant showcases our FIREFLIES collection in their October edition! 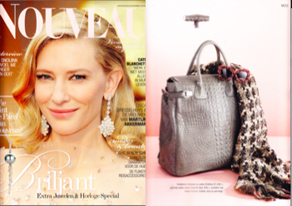 Danny Vera knows how to travel in style in this month's edition of Esquire with the enticing Geraldine Kemper on the cover. FIREFLIES AS SEEN IN SOCIAL MEDIA! 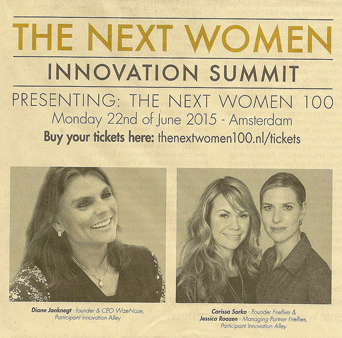 Beertje van Beers and Karin Dijksman from Dijksman Communicatie are fan! 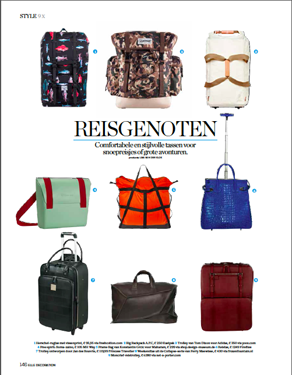 ELLE DECORATION puts our bags out for your summer holiday! FIREFLIES FLIES OUT IN THE MEDIA! Taking the next step in our journey: presenting our FIREFLIES Travel Collection to the media! The collection not just to travel with, but also to use in your professional life or just when carrying all is not an option. 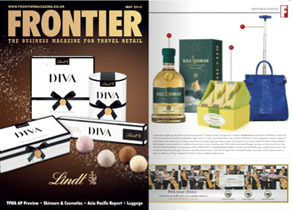 Check out our first media flights as Editor's Pick in the world renowned duty free Frontier Magazine and on Instagram. Thanks Karin, Vivian and Floor of Dijksman Communicatie, for the perfect kick off!